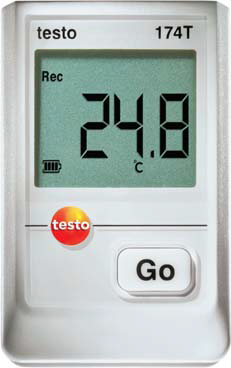 With the Testo 184* data loggers, you monitor every step of your cold chain in the transport of sensitive goods by rail, in the air or on the road. The Testo 184 T3, with its exchangeable battery, is the ideal logger for inhouse logistics. 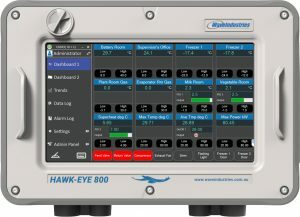 At their destination, your see at a glance whether the configured limit values have been adhered to. 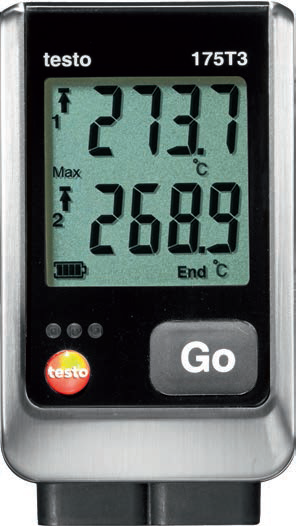 The data logger testo 184 T4 is designed for lowest temperatures down to -80 °C, such as occur in dry-ice cooled transports (e.g. blood plasma). 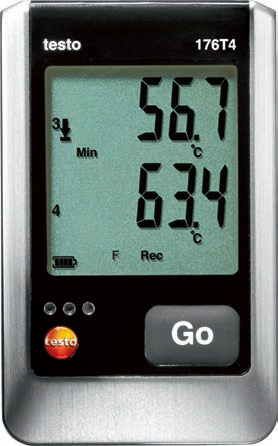 The data logger testo 184 G1 is designed specifically for the monitoring of shock, relative humidity and temperature during transportation. In addition to the precise temperature and humidity measurement, a 3-axle acceleration sensor measures any vibrations which occur. 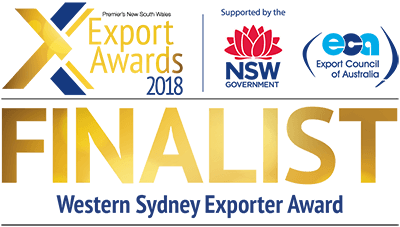 This allows impact and vibrations to be reliably recorded during the transport of sensitive pharmaceutical products, high-quality electronic products, delicate machinery or valuable art objects. 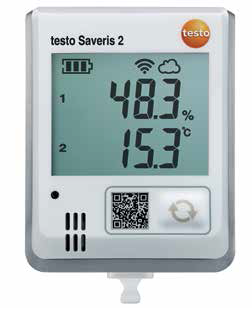 The Testo 184 H1 is specially tailored to the monitoring of relative humidity and temperature during transport, for example in order to continuously monitor fruit and vegetables, humidity-sensitive medicaments or cut flowers. * T1 and T2 models are no longer available.